The sunken city of the Caribbean: Forbidden archaeology? Ancient texts and many religions speak of a massive flood that shuck planet Earth in the distant past. This great deluge is said to have changed our planet and its ancient inhabitants for ever. In recent years, there have been numerous discoveries of submerged structures and even entire cities which remained hidden for thousands of years. These submerged structures point to a much different time on Earth, when our planet’s oceans were very different. Tales of sunken empires have been present in societies around the world for thousands of years. While most of them are believed to be a myth, such as those of Ancient Atlantis and Ancient Mu, other “tales” have proven to be more than just stories. Atlantis, the lost empire, and the submerged city off the coast of Cuba, a myth or reality? Well over a decade, a team of underwater explorers from a Canadian exploration company was mapping the ocean floor and near the western coast of Cuba. While exploring, the teams sonar equipment detected all of a sudden, a bewildering array of stone structures, located about 650 meters below the surface. the team of researchers had found a series of unusual formations; smooth blocks, crests and different geometric shapes at the bottom of the ocean. 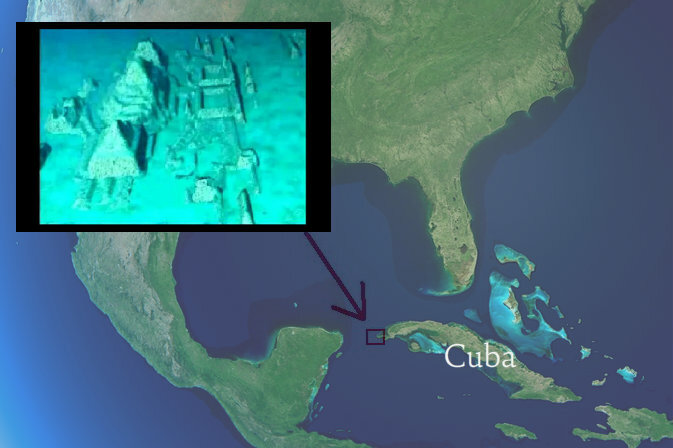 The company responsible for the finding: Advanced Digital Communications, suggested that the structures found off the western coast of Cuba were ancient monuments of an unknown ancient civilization. Symmetrically arranged stones, which appeared to be remnants of some type of ancient urban development certainly point towards a highly developed society that could have inhabited the region in the distant past. But what happened to this incredible discovery that was on the news over a decade ago? Why are we not exploring any further? Is it possible that this discovery will change the way we look at history? Our origins? many people would agree that there are a hundreds of discoveries that are kept from society on purpose. Is the sunken city off the coast of Cuba one of them? Many researchers remained extremely skeptical about the discovery since a lot of people jumped to conclusions drawing parallels to the ancient Atlantean empire. Soon after the discovery was made, the National Museum and National Geographic displayed great interest in further investigating the area, but for some unknown reason it never happened. Ten years after the incredible discovery was made by Pauline and Paul Weinzweig, owners of Advanced Digital Communications, the discovery that was labeled as the finding of Cuba’s Atlantis and the lost city of the Caribbean was simply forgotten. Actually there have been quite a few underwater cities that have been discovered in recent years. The discovery of the legendary ancient city of Dwarka in the gulf of Cambay is certainly one of those incredible discoveries. The ruins are located 131 feet below the surface of the sea in the Bay of modern-day Dwarka, one of the seven oldest cities of India. Studies have shown that the ruins are artificial in nature. Several artifacts have been discovered but perhaps none as important as one artifact believed to date from 7500 BC, supporting the theory that the remains found in the gulf of Cambay are in fact those of the legendary city of Lord Krishna. It is believed that the incredible city was submerged underwater after the death of Lord Krishna. Dwarka: The ancient city believed to be a myth actually exists in the Gulf of Cambay. Another ancient city worth mentioning is certainly the submerged city of Thonis-Heracleion near Alexandria. It is believed that the ruins were submerged in the sea by an earthquake about 1,500 years ago and remains hidden until now.Archaeologists have discovered hundreds of artifacts and sculptures just of the shores of Alexandria. It is expected that the ruins are open to divers and tourists in the coming years. 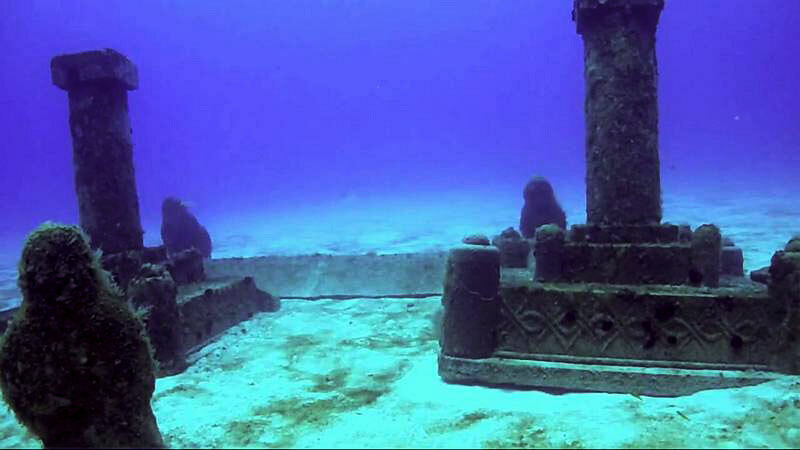 The underwater complex of Yonaguni is surely one of the most important underwater discoveries of the century. The incredible structures are located near the coast of Japan and according to experts, the monuments date back to at least 10.000 BC. As you can see, there are dozens of underwater cities that have been found in recent years. All of them tell a similar story. Earth as we know it was very different in the distant past. Source: Ancient Origins: What Happened to the Sunken City of Cuba?